through its role as a demonstration partner for the recently formed CHAP UK Innovation Centre. 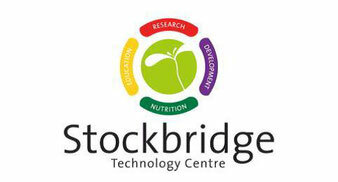 As well as functioning as a 200 acre mixed production working farm, covering outdoor and protected crops, STC boasts state of the art facilities for on-farm demonstration, including conferencing and meeting rooms equipped with high-end audio-visual technology and a recently refurbished £50,000 applied on-farm training facility (SATS4Crops). As a trials site for major international and UK clients, e.g. Bayer and HGCA, STC already receives over 1,000 visitors from the arable production sector per annum, with access across the whole of the site facilitated by a network of concreted ‘roads’ and ample designated parking areas for visitors (including a regularly used helicopter landing site). STC works across seven main departments (Agronomy, Commercial Production, Education, Entomology, Pathology, Sustainability and Photobiology) with a Board of Directors spanning the crop production and research sectors.